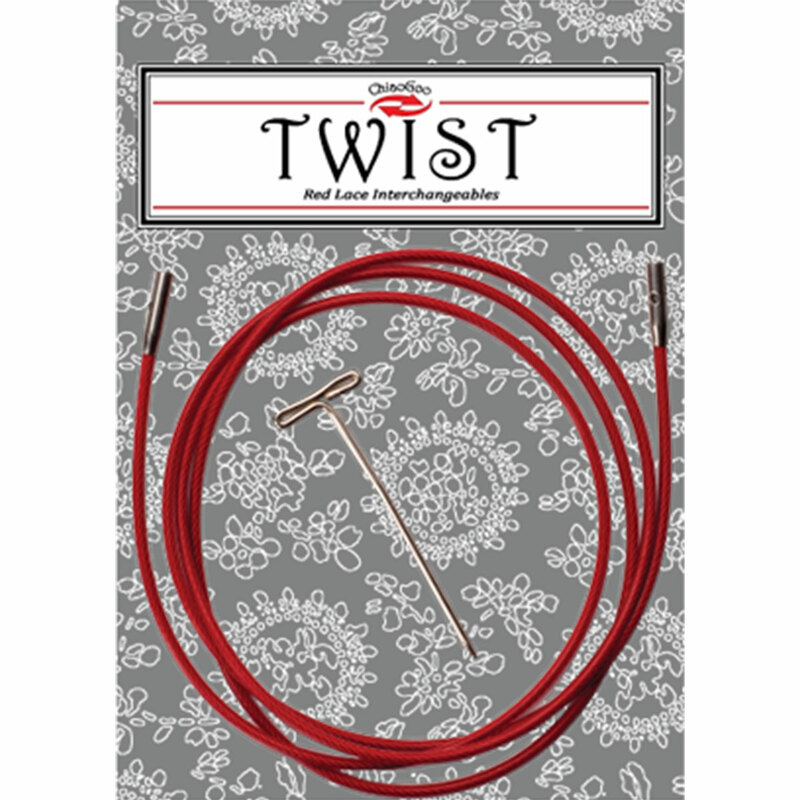 These red, nylon-coated steel cables for use with Twist Lace Interchangeable Needle Tips feature smooth transitions and secure connections. A lifeline hole makes adding a lifeline as simple as knitting across the row. Tips ranging from US size 000-1.5/metric 1.5mm-2.5mm require the mini [M] cables. Tips ranging from US size 2-8/metric 2.75mm-5.0mm require the small [S] cables. 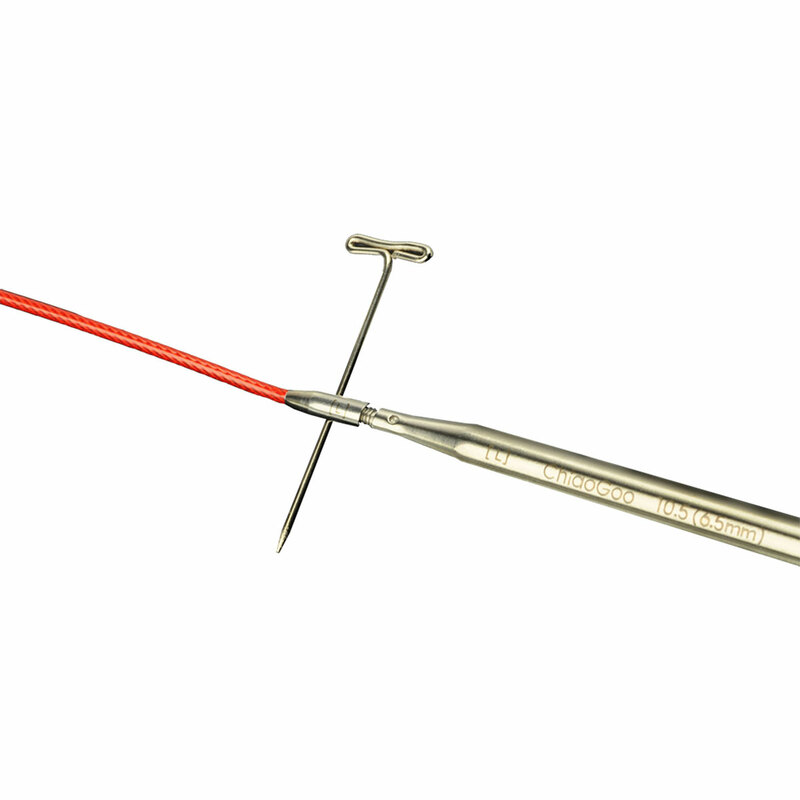 Tips ranging from US size 9-15/metric 5.5mm-10.0mm require the large [L] cables. ChiaoGoo SPIN Cables Needles and Knitter's Pride Cords Needles are both similar needles: interchangeable cords and multiple sizes or sets US size.